Hi, I’m Tom. I believe in a pain-free, active lifestyle. “No pain, no gain” is not my approach. I offer a combination of manipulations, deep tissue massage and other techniques – designed to treat, rehabilitate, relax and rejuvenate the body and mind – and my services both complement and enhance your exercise regime, and generally improve your health. I have strong ties to the fitness industry. Over the last 9 years I have gained invaluable experience working with personal trainers, physiotherapists, podiatrists, chiropractors and athletes, amongst others, all in sports-related settings. I am a graduate from the University of Bath and a level 5 certified sports and remedial therapist. Since graduation in 2008, my practice has taken me to a number of sports and leisure centres in London and the South East, including Crystal Palace Sports Centre, and my services were required at several sports-related events sponsored by Action Medical, British Heart Foundation, Leisure Plan and Fitness Fiesta. 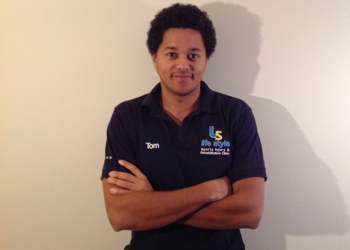 I have built up a successful, independent, sports therapy practice in East Sussex. My motto is: “After 30 minutes with me you’ll walk out better than you walked in”. But don’t just take my word for it! Check out the latest client comments on my testimonials page.